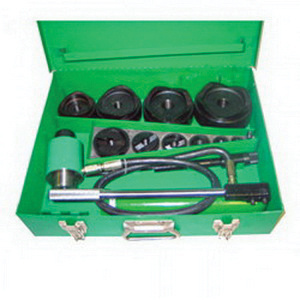 Greenlee Blow molded tool box in green color, is ideal to use on 7310Sb Slug-Buster RAM and hand pump kit. It has a dimension of 21.5-Inch x 24-Inch x 56-Inch. The swivel/rigid casters ensures smooth mobility.